The time has come to sample the night life in Tagum City. From the new city hall, we took a trike that brought us to the Tagum Cultural and Trade Center. The surrounding streets are the site of the Tagum City Night Market. Unlike in Cagayan de Oro and other cities/towns in Mindanao, Tagum City Night Market isn't only a weekend night market, it's open from Monday to Sunday from 6:00pm to 2:00am. 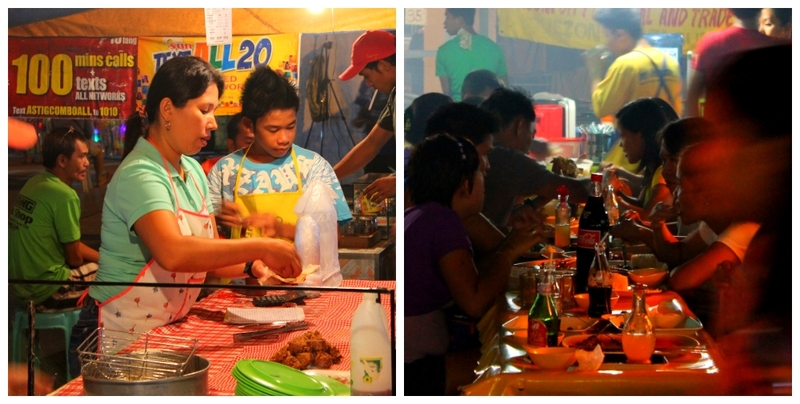 From the Tagum Cultural and Trade Center, we walked towards the barbecue stands along Quezon Street. The area was so packed with people that one couldn't feel it was a Sunday night. 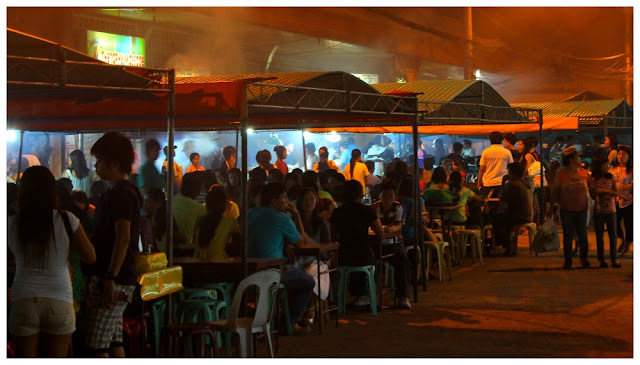 According to Mr. Leo Timogan of the Tagum City Information Office (CIO), the city government set up the Tagum Night Market event to promote a culture of dining-out at night. Because of the night market, trade and commerce doest not stop at 5:00pm but extends until late at night, bringing more business and employment opportunities for Tagumeños. We would like to thank Mr. Leo Timogan for touring us around the Tagum Night Market and for the sumptuous dinner. from Davao City: at the Davao Overland Transport Terminal, take a bus bound for Tagum, Mati or Butuan, tell the conductor to drop you off at Tagum Crossing, then take a trike and tell the driver to bring you to the night market.